The road for a start-up in Africa can be like a video game — each time a player slays a monster, a larger one appears. Whether it is roadblocks imposed by regulators, the lack of a viable workforce or a paucity of infrastructure, the path to success for a burgeoning tech firm in Africa can be harrowing. 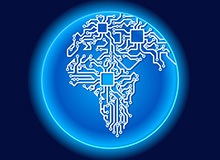 Yet it can also be a great opportunity for those willing to negotiate their way through those challenges, according to experts and entrepreneurs on a panel titled, “Technology Start-ups in Africa,” at the recent Wharton Africa Business Forum. “Incubators are all over the continent,” said Kathleen Bomani, the founder of Made From Cloth, which encourages and helps locate funding for fashion businesses. “Building the infrastructure is ahead. We have the opportunity now to do things that may not be available to entrepreneurs later on.” The problem, however, is that no one is making it easy. The continent has no equivalent to Silicon Valley and its warren of venture capitalists and mentors. On the other hand, the advantage is that the big players have no real conviction or impetus to go to Africa, at least for the time being, leaving the market open for small but scrappy firms. To nurture a community of start-ups, the continent’s education systems must also change, according to the panelists. Universities are teaching business and technology, they noted, but not encouraging creativity and entrepreneurship. Colleges seem to be preparing students to take jobs working for big corporations rather than encouraging them to find ways to be innovative. Chika Umeadi, Nigerian community manager for e-commerce marketplace Cont3nt.com, has a similar view. More and more people in Africa have mobile technology and are itching to communicate with it, noted Umeadi, whose site allows people to upload photos and video they believe are newsworthy. Cont3nt.com then markets the footage to commercial outlets, including global media companies like CNN. But there are still many challenges standing in the way of entrepreneurs in Africa. Each government is different, and each has fees and, just as likely, regulators and others who expect to be paid under-the-table tips or bribes. Then there is the problem of the power grid, which shuts down at an alarming rate in some areas, a disaster for a technology start-up at a crucial moment in its development. According to Bomani, it may be better to have local people run the businesses, which is how she structured Made From Cloth. She discovered a great interest in fashion across Africa, so she decided that her tech business would act as more of a middleman, helping designers and manufacturers to market their wares around the continent and the world through the Internet.